I’ve just fallen in love with a brand new author, Téa Obreht. I’m not alone in my admiration. The New Yorker included Obreht in its recent list of 20 best American authors under 40. At only 26, Obreht is the youngest, and yet her voice has the maturity of a seasoned author. 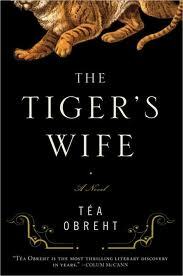 The Tiger’s Wife (2011), Obreht’s debut novel, is set in a war-torn Balkans country. Obreht, now a New Yorker, was born in the former Yugoslavia. As a child, I once vacationed there and was appalled later at the violence that tore a nation apart. Although the author didn’t live there during the war, it felt like she had. She describes the horrors of World War II and the more recent conflicts in the Balkans with an unflinching eye that reminded me of the authors Geraldine Brooks and Michael Ondaatje. As The Tiger’s Wife opens, Natalia takes a break from inoculating orphans to collect the physical and spiritual remains of her grandfather, who was also a doctor. His life is recalled in a series of fables mixed with local folklore, reminding me of the novels of Louise Erdrich and of Isabel Allende. His boyhood recollections include a love story between an escaped tiger and a deaf-mute woman (hence the title). There is also a “deathless man” who cannot die but predicts death and a bear hunter who becomes his own prey. Paradoxically, it is easier to believe these supernatural tales when a skeptical narrator offers alternative scientific explanations. As you can see, I finally figured out how to highlight quotations on my Kindle. They were very easy to retrieve from an automatic clippings folder. On my third ebook, I got so caught up in the story that the reading experience did not feel that different. After finishing, though, I bought a hardback copy for my home library and another for my parents as a visiting gift. An e-book just doesn’t feel as permanent as a book. It’s like the difference between an email and a handwritten letter from a dear friend, although an ebook is much easier to read in bits on the go. Am I ever on the go: my daughter has lead roles in 2 plays and is playing lacrosse. I won’t be buying doubles of all my e-books, just my absolute favorites . . . my name is Sarah Laurence, and I’m a book junkie. It’s been 2 weeks since my last purchase. My bookshelves are groaning, and my Kindle is moaning. I loved the first sentence of your post. That, too, has happened to me on many occasions. You fall head over heels for someone's writing. I like books that mix local folklore with 'straight' writing. It makes them more vivid and colourful. Congrats to her for making the list! I must check out this book now. It sounds really good. She reminds you of Michael Ondaatje? I was going to buy this book anyway but now I am SO there!!! This is already on my list. Sounds brilliant. I've been writing about war novels, too, but the Balkans conflict has definitely been an undertold (am I making that word up?) story. Would you say this is a YA book for older readers? I made a vow to not buy any new books, and I haven't managed to keep it at all. Still a Kindle hold-out, though. But then I don't even have a laptop! Folklore is such an integral part of history and telling a good story. I'm not sure why so many American authors ignore it. We have some pretty rich stuff of our own, if you know where to look. I'm definitely going to look this one up and try to find a spot for it on one of the bulging bookcases in our new place. You're not the only book junkie. I like the lyrical quality of the piece of writing that you shared. I'll definitely check this young author out. Thanks! I loved the excerpts you posted--so poetic. I *might* be getting a kindle for Mother's Day. :) Thanks for joining in and for fixing the code! What would I do without you?! Oh lord, another book for the wobbly TBR pile. As you probably can figure out, Sarah, I do love books that combine reality with a touch of the fantastic. And thanks for the comments on the Kindle experience. I'm still not on board, although I've got travel coming up and am deeply tempted. The checking account, of course, is Not Amused. ACIL, I wish I had an exciting story to share, but my parents just took my brother and me to an island resort in Yugoslavia one summer in the 1970s for fun. I remember the smell of blooming trees, swimming every day and reading Wonder Woman comics. I had a golden lasso, really a chain from a hardware store, which I was learning to throw. The most dangerous moment was almost walking into a poisonous spider’s web on a hike. It was a peaceful holiday, and war was unimaginable. Tina, Beth, Patti and septembermom, I’m so happy to hear so much enthusiasm for this book - enjoy! Troutbirder, thanks for the recommendation, and I’d love to hear your informed opinion on this book. Bee, undertold should be word if it isn’t. The protagonist is a young woman in her 20’s and there are several teen and child characters so this novel would appeal to mature teens like your oldest daughter. I would have loved it at her age. It was, however, written in a literary style for an adult audience. W2W, I’ve been thinking of writing a novel for teens that would draw on Native American folklore. Tea Obreht and Louise Erdrich are inspiring me. I think you’d love the Tiger’s Wife. Barrie, the other half of the present would be time to read your new Kindle in peace. Thanks for hosting another book review club! It’s nice to feel wanted. Ellen, you’ll love this novel then. If you can resist the temptation of buying hardcover books on top of ebooks, you’ll pay back the cost of your reader. Ebooks of adult fiction are half the cost of new release hardcovers. There isn’t as much of a saving for YA and MG. I’m reading a digital galley on my Kindle now so that’s another advantage. Mostly, I love it for travel and reading on the go, even if I prefer a real book at home. It was a great gift! The writing excerpts were wonderful. Thanks for introducing Tea Obreht. I love finding new authors! Enjoyed the review! I am working on which books I will be reading for the Summer and this book will be on the list. I have not given in to an e-reader-maybe down the road. ah, wonderful review, sarah. i had read the nyt review of this book and was equally enthralled by the author's young age yet seasoned voice. any book in the genre of mystical realism, as this seems to touch upon, is a must-read for me. so your girl has the lead in 2 plays now and finds time to play lacrosse? with a budding actress on your hands, it will be interesting to see how she gravitates between the arts and sports in the years ahead. Beth and Tracy, I’m sure you’ll enjoy this new author. Amanda, I’m a fan of mystical realism too. By high school next year my daughter will have to make some tough choices. On top of acting and sports, she also plays 2 instruments, writes and draws. It’s easier to do it all when you’re young and the time expectations are lower. This is the time to explore, and for me to drive. It’s nice to have a rare home day to catch up on blogs today. Thanks for the lovely review Sarah. The Tiger's Wife sounds like one for the shelves. I like the portion you quoted very much. I must say your habit is infecting. My book buying is getting worse since I met you. I am sure for others as well. Excellent review--I particularly liked how you compared this author to others. Sounds like a very unique book. I've read some great reviews about this book - and reading yours seals it. I usually avoid books with supernatural elements (just never could get into them) but this sounds too good to miss. Few things excite me more than books. 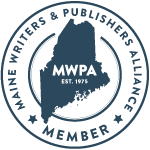 We must continue to support struggling book publishers. I've been holding out on purchasing a Kindle but it will probably be the only way to go soon. I am working on a review of this book at this very moment! I adored every page. Mama Shujaa, it’s the literary bug for book worms! Alyssa, her writing was unique. The more you use your Kindle, the more acclimated you will become but that doesn’t diminish the value of a real book. I got mine for Christmas too. I’m on my 6th ebook now. I’ve read as many real books in that time too. Bonnie, the supernatural element is quite mild. It actually reminded me of dreams. There were fables, ghost stories and superstitions, which have alternative explanations. Most of the narrative feels quite realistic. I don’t think books will ever disappear, but the ebook market share is growing quickly. These days most publishers do both paper and ebooks so they aren’t suffering. The harder hit would be independent bookstores so be sure to shop there for real books. Pamela, I’m looking forward to reading your review. I am wading into ebooks too - they were so convenient when I was traveling earlier this year and anytime I can lighten my load on the subway commute, I do. But I have so many paper books I imagine I will be living in both worlds for a long time! Thanks for introducing a good novel to us, Sarah. I want to read it!! It looks like the fables mixed with local folklore, which must be an important feature of the Balkan culture, finds ample and appropriate place in her novel. I love to read folklore and myths. Oh I don't have a Kindle or an ebook. I'm far behind you. I've always been interested in the Balkans (not sure why) so I'll have to check this out. Glad you're enjoying your Kindle. It's a great device for book junkies like us. Mine is groaning, too. I love books that use folklore! That's the sort of thing I'd actually like to do in something that I write. Now, I must read that book! Still having a hard time coming onboard with the kindle/nook thing. Would seem like such a disconnected experience compared to reading an actual book, but then again I've heard from so many others who thought the same thing as me and then fell in love with their e-readers! Maybe one of these days. Although, just last night I was thinking a nook color might be nice for magazines. I usually end up throwing out magazines after awhile and it feels like such a waste. I'm late in commenting, but that sounds like a must read. oh yes... "my name is Sarah Laurence, and I’m a book junkie. It’s been 2 weeks since my last purchase. My bookshelves are groaning, and my Kindle is moaning."